Fenerbahce and Real Madrid will meet in the Turkish Airlines Euroleague 2018 Championship in Belgrade on Sunday after winning their semifinals on Friday night. It should be an epic championship game. In the first semifinal on Friday night, defending Euroleague champion Fenerbahce Istanbul (Turkey) defeated Zalgiris Kaunas (Lithuania) 76-67. Fenerbahce earned their way back into the final through aggressive defense and a superior bench, in which the Fenerbahce bench outscored their counterparts 53-22. Zalgiris, the Cinderella story of the Euroleague 2018 Final Four, was undone by its uncharacteristically low three-point shooting, going 2-10 from behind the arc and committing 20 turnovers. In the second semifinal of the night, Real Madrid (Spain) beat CSKA Moscow (Russia) 92-83. 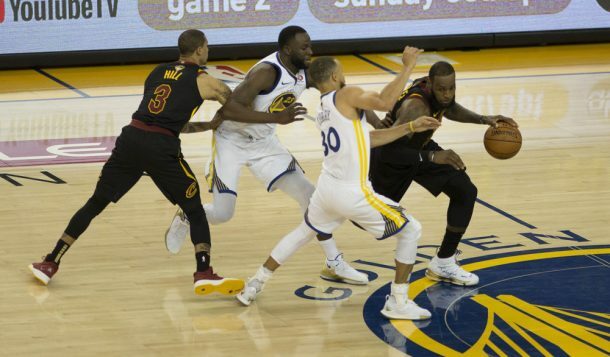 While tough defense characterized the first semifinal, the second was filled with high-level offense. CSKA scored 30 points in the first quarter to open a double-digit lead, but Real Madrid hit five three-pointers in less than three minutes to open the second quarter. Real Madrid is led by 19-year-old Euroleague MVP, Luka Doncic, who is expected to be selected in the top 3 of the upcoming NBA Draft. He poured in 16 points in the semifinal, tied or most points on the team. The other leading scorer for Real Madrid was Sergio Llull. 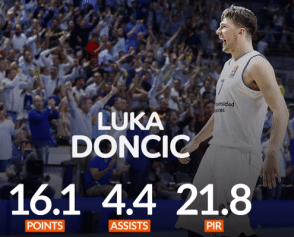 While Doncic is Real’s big-name player, Llull might be the feel-good story of the season. Nine months ago, Llull tore his ACL, missed almost the entire season and had 16 points and five assists in a semifinal game against one of Europe’s biggest clubs. With the win, Real Madrid will face reigning champion Fenerbahce in Sunday’s championship game. Will it be a repeat for one of the greatest European coaches ever or a grand send-off for Europe’s next NBA star?